All week long, Kelly and Michael have been sharing the latest in health news and information for Kick Start the New Year: Medical Edition. 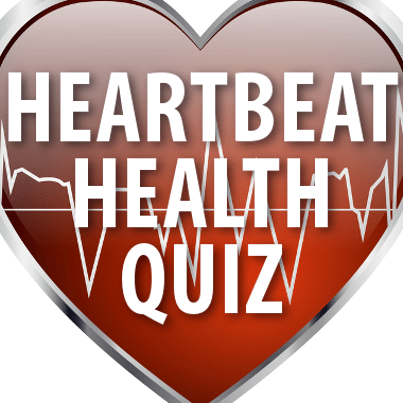 ABC News chief health and medical editor Dr Richard Besser was on the show with a Who’s Got the Beat heart health quiz. Dr Richard Besser said that small changes to your diet and body can add up to lasting changes for the health of one of your most vital organs. Here are the quiz questions so you can play along and learn some health tips. Who’s got the beat? Do you think you know your heart health facts? Take Dr. Richard Besser’s heart health quiz to see how much you know about your ticker. The answer was C! That’s a lot of weight from a single simple change. “Every two weeks, you’re taking in the equivalent of one pound,” Dr Besser said. The heart is a muscle, and muscles need exercise to work well. How much exercise do you need to have better heart health? The answer is B. This is a great way to get started with fitness, and working up to more is better. A man is sitting at his desk smoking a cigarette and eating french fries for lunch. What is the most dangerous thing this man is doing, in terms of heart health? All of these have their negative aspects, but smoking was the worst offender in this case. The answer was D. Some patients might need a vitamin or aspirin, but you probably don’t need both. Dr Besser told Kelly and Michael that people need to check in with their own doctors to find out what is right for them. Get more heart health advice from Dr Besser in his book, Tell Me The Truth, Doctor.